Paramount Digital Entertainment and Electronic Arts have announced that Rango The Video Game is now available worldwide for the PS3, Xbox 360, Wii and DS. 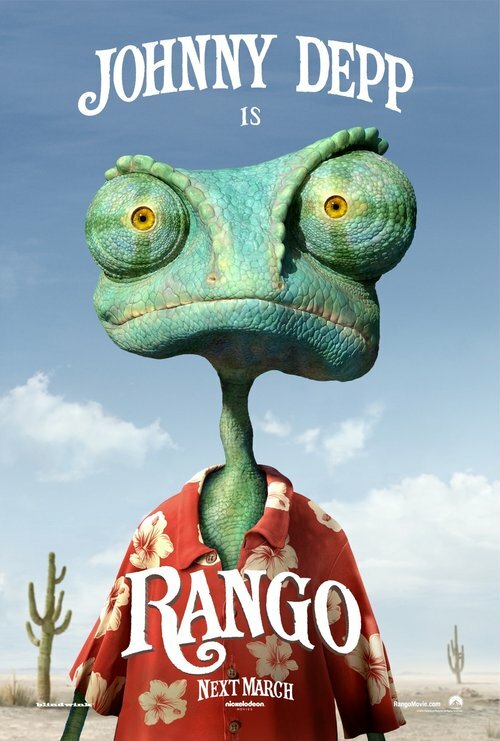 The game is inspired by the forthcoming animated feature film Rango starring Johnny Depp, in theaters March 4. Rango The Video Game lets players explore a variety of environments featured within and beyond the film where you will encounter Zombie rodents, Alien spaceships and even an 8-bit shootout inside an arcade machine, all-the-while on a quest to save the inhabitants of the town of Dirt. Variety reports that Johnny Depp will reunite with director Gore Verbinski (Pirates of the Caribbean) on “Rango,” an animated movie financed and distributed by Paramount. In the movie, scheduled for a March 4, 2011 release, Johnny Depp will voice the lead character, a household pet that goes on an adventure to discover its true self. The script was written by John Logan (The Aviator) from an idea by Verbinski. The animation will be done by the incredibly talented folks at Industrial Light & Magic.